With the ANZAC Commemoration just a few short days away, I thought it would be timely to reflect on much of what we hold sacred and honoured about this most solemn date. Firstly I must confess. I believe ANZAC Day is the most important day in the Australian Calender. Now days, Anzac Day goes well beyond the anniversary of the landing on Gallipoli in 1915. It is the day on which we remember all Australians who served and died in war and on operational service past and present. The spirit of Anzac, with its qualities of courage, mateship, and sacrifice, continues to have meaning and relevance for our sense of national identity. 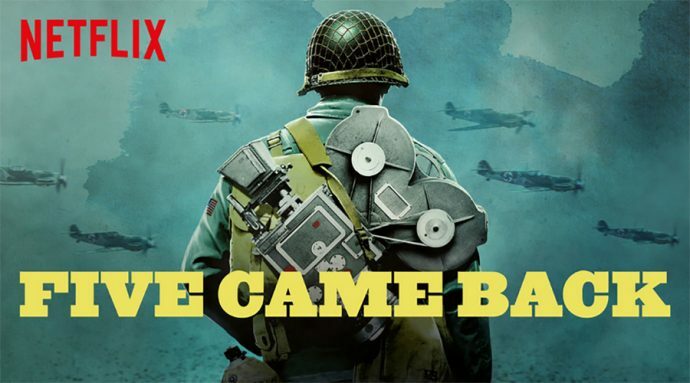 I was fortunate enough to find out about a superb production by Netflix – “Five Came Back.” It is based on the book by Mark Harris, and is a cinephile and historian’s dream come true. It captures a chapter of not just film history but war and American history in a way it hasn’t been before. At times, it’s almost overwhelming in its detail and varied subject matter, chronicling so many facets of how film and war intertwined during World War II. 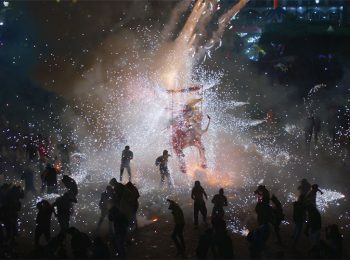 This Netflix documentary, also playing in some theatre’s in major markets, is remarkably comprehensive, reminding us today how much perception matters and how powerful film can be in shaping international narratives. These five chronicling filmmakers didn’t just influence the way we remember World War II, but how we participated in it and our perceptions at the time of the enemy and even our own fellow soldiers. This is a must-see. The first thing to keep in mind is that this is a time long before people learned about international conflict via TV news. Most people got their information about the conflict in Europe and Japan via news footage played before films and then documentary filmmaking by some of the most important American filmmakers in history. During World War II, five of the nation’s best filmmakers went to the frontline: John Ford, William Wyler, John Huston, Frank Capra, and George Stevens filmed not just the aftermath or the impact of war but actual combat. One of many fascinating aspects of “Five Came Back” is how much these men saw their intentions change over the course of the war. In the early days, they were a force of direct propaganda, filming shorts to play as news footage in theatre’s that would then collect money for war bonds. They were being instructed by the government in how to shape the national response to World War II. While there was artistic value to even these early films, the projects grew richer and more complex as the war progressed. And, as time went on, more and more complex dynamics of the war were captured or even influenced by this quintet, including how German and Japanese people were going to be perceived after the war, how Americans treated African-American soldiers, and even the idea that filming war gives it a visceral, thrilling quality for audiences, especially if one cuts the bloodiest footage. All five men were there for the major moments of World War II, unafraid of the danger inherent in it all. 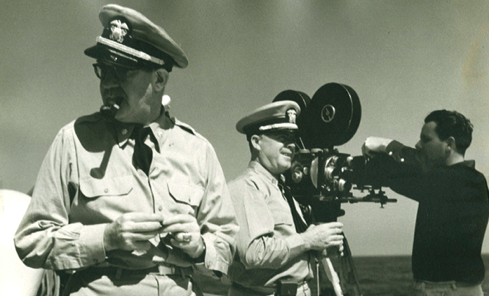 John Ford and George Stevens landed on the beaches of Normandy on D-Day to film the invasion. They selected cameramen to accompany them, and knew that not all of those men would come home. These men weren’t going there to fight. They were going to there to film. There were hundreds of cameras and dozens of men. Stevens was there when they found Dachau. It is impossible to imagine the shock of that. No one had seen a concentration camp, and yet he was the first man to show arguably the most nightmarish chapter of human history to the world. Of course, he was never the same. The world would never be the same. “Five Came Back” has an amazing amount of archival footage, most of which even hardcode cinephiles probably haven’t seen. And it is constructed as a series of interviews with modern filmmakers who know a thing or two about war. It’s no coincidence that most of the five men who offer a filmmaker’s insight into what was accomplished by the five artistic leaders who preceded them have made movies about war themselves. Francis Ford Coppola, Steven Spielberg, Paul Greengrass, Guillermo Del Toro and Lawrence Kasdan know their film history. It was a brilliant move to get five directors (and narrator Meryl Streep) to tell this story instead of historians or scholars because it was the filmmaking decisions—what to show, what to recreate, what to cut—that are so essential to understanding what happened here and how filmmaking changed world history. If there’s anything critical to say about “Five Came Back” is it could have been longer. Subjects will often come up and are moved on from so quickly that you barely have time to digest them or unpack what’s being said. 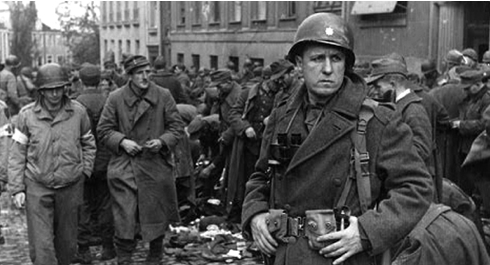 The chapter about D-Day, the Holocaust footage, Huston’s post-war chronicle of what was essentially the first capturing of PTSD (Post-traumatic stress disorder (PTSD) is a particular set of reactions that can develop in people who have been through a traumatic event which threatened their life or safety, or that of others around them.) — all of these and many more could have been given their own hour-long chapter. Although when’s the last time you saw a three-hour documentary and thought, “I wish this was three times as long”? I urge you to watch this remarkable documentary series.